Two essays by the pacifist, anarchist and activist: The Morality of Scientific Technology and The Psychology of Being Powerless. Pacifism and Invasion and On Duelling by Jessie Wallace Hughan -- suffragist, peace activist and founder of the War Resisters League. A classic pacifist response to Fanon, Sartre and others who, during the 1960s, were urging the necessity of violence for Third World revolutions. 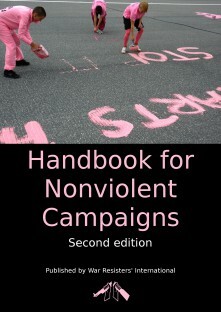 "A Philosophy of Nonviolence" by longtime staff member of the War Resisters League. Includes topics such as Inevitability of Conflict, What About Hitler, and Why Our Job Is Much Tougher Than India's. The essay Who Has the Spiritual Atom Bomb?, by the foremost twentieth century pacifist theoretician and activist, minister and socialist.